The prevalence of PCOS is thought to be 5-10% and is a contributing factor towards infertility. Obesity can contribute to the development of PCOS and can also be a cause of infertility. Both PCOS and obesity increases your risk of diabetes, hypertension, dyslipidemia and cardiovascular disease. Hyperinsulinaemia (elevated insulin) leads to increased fat – particularly around your mid-section. Elevated insulin levels contribute to abnormalities of the hypothalamic-pituitary-ovarian (HPO) axis that lead to hormonal imbalances associated with PCOS. One of the common hormonal imbalances in women with PCOS is increased testosterone production and free androgen index. These hormones lead to acne and hirsutism (excessive face and body hair growth). The adrenal glands also produce hormones and therefore stress can over-stimulate the adrenals, thereby adding further to the hormonal imbalance. Although not all women with PCOS are overweight, in those who are, weight loss is an essential part of PCOS treatment. Not only can weight loss result in dramatic improvement in the condition, weight loss has also been shown to be more effective than current medication for insulin resistance. As little as 2-5% reduction in weight can be enough to improve metabolic and reproductive indices in women with PCOS. A healthy lifestyle to lose weight has been shown to lower testosterone production, improve insulin resistance and decrease hirsutism in PCOS. 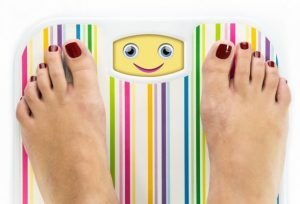 Even in those without PCOS, weight loss for obese people will also slow obesity related co-morbidities. Furthermore, for overweight/obese women, a 5kg weight loss can increase the chance of pregnancy by 50%. I advocate long-term modest weight loss which is far more effective than drastic weight change which incorporates dietary counselling, acupuncture and exercise. PCOS can be a difficult condition to manage, therefore treatment for PCOS is ongoing. In some cases, it can be months before a client’s initial menstrual bleed. Reduction of hirsutism can also take up to 3 months before changes are observed. Counselling and practitioner support can be helpful for continued monitoring of improvement of signs and symptoms . This not only allows you to track your progress but can help you to stay motivated to achieve a regular menstrual cycle and allow ovulation to occur to improve your chances of becoming pregnant. This site and it's contents are subject to © 2015 Acumedica. All Rights Reserved.